NEW BRIGHTON, N.Y. -- A Staten Island man was found guilty Wednesday of felony aggravated animal cruelty for killing his wife's 2-month-old puppy. Authorities say 39-year-old Jerry Moore choked, beat and threw the Chihuahua, named Bambi, against a wall, causing injuries that resulted in her being euthanized. 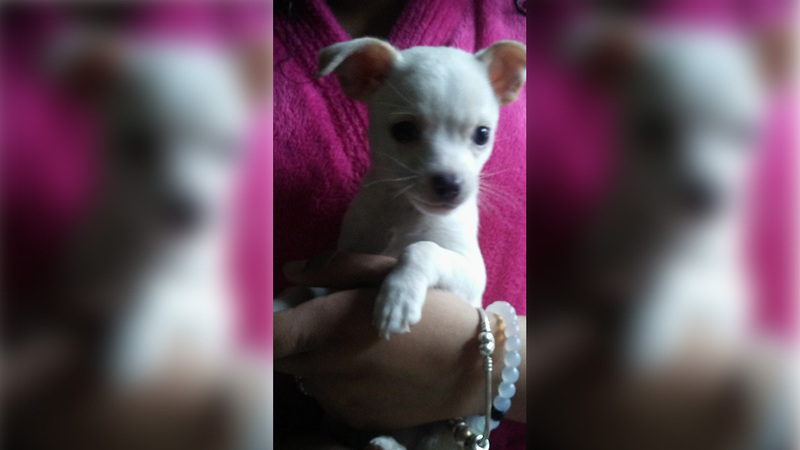 "This defendant mercilessly abused a defenseless puppy named Bambi over several weeks, causing such severe injuries that a veterinarian was forced to euthanize the 2-month old Chihuahua," DA Michael McMahon said. "Animal cruelty is a disgraceful and cowardly crime that must be punished as it often leads to acts of domestic violence." In between March 12, 2016 and March 24, 2016, prosecutors said Moore squeezed his hands around Bambi's throat and neck inside the couple's New Brighton home, causing difficulty breathing. He later threw Bambi into a wall and threatened his wife, telling her to watch what she said to the police. Moore's wife left him home alone with the dog on March 24, and later that day, he called her to say something was wrong with Bambi. The wife came home and found Bambi crying and unable to move, and she was brought to Bay Street Animal Hospital where she was treated for traumatic brain injury. Because of her severe injuries, Bambi was put on March 26. On March 29, 2016, a necropsy determined the cause of death to be traumatic brain injury as a result of blunt force trauma. Throughout the incident, Moore was in violation of a full stay away order of protection commanding him to have no contact with his wife. He violated this order on multiple occasions. Moore was been found guilty three additional counts, including overdriving, torturing and injuring animals; criminal contempt and intimidating a victim or witness. He faces a maximum of two to four years in prison when he is sentenced on April 26.